Emily specialises in commercial and traditional chancery work. She has particular expertise in cases involving pensions, contentious trusts and probate, fraud, complex professional liability, and high value commercial disputes, often involving an international element. Emily is recommended in Chambers & Partners. She is described as “very easy to work with and very bright” (2019). Previous editions have noted that she is “very impressive, extremely clever, commands respect from clients in meetings, and produces written work of an extremely high standard” (2018). “She is very adept at finding practical solutions around very difficult and complex issues” and “very good with clients and extremely professional. She’s a good orator and very good at conveying things verbally in an understandable manner” (2017). She is also “a great advocate who is very user-friendly, bright and someone who provides excellent client service” (2016), “a star of the future” (2014), having “a fantastically clear analytical mind” and being “very commercial in her judgement” (2015). 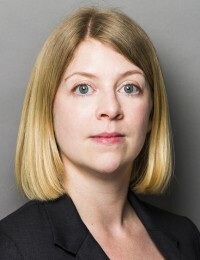 Legal 500 describes Emily as “a great advocate who is user friendly and very bright” (2019), “meticulous and smart” (2017), “assiduous and able to translate complex ideas into simple propositions” (2016), being “one to watch” (2014) and “a rising star” (2014) who “gets stuck in to the detail in a proactive and intelligent way” (2015). Emily is a robust advocate who enjoys the litigious aspects of her practice. She regularly appears in both the High Court and county courts, representing clients in interlocutory and final applications, as well as at trial and on appeal. Emily is frequently instructed as junior to Queen’s Counsel within and outside Chambers, as well as on her own account. In recent years Emily has been instructed in cases involving an international element, including disputes arising in Dubai, Hong Kong, Bermuda, Mexico, Nigeria, Switzerland, Grand Cayman, Cyprus and Guernsey.